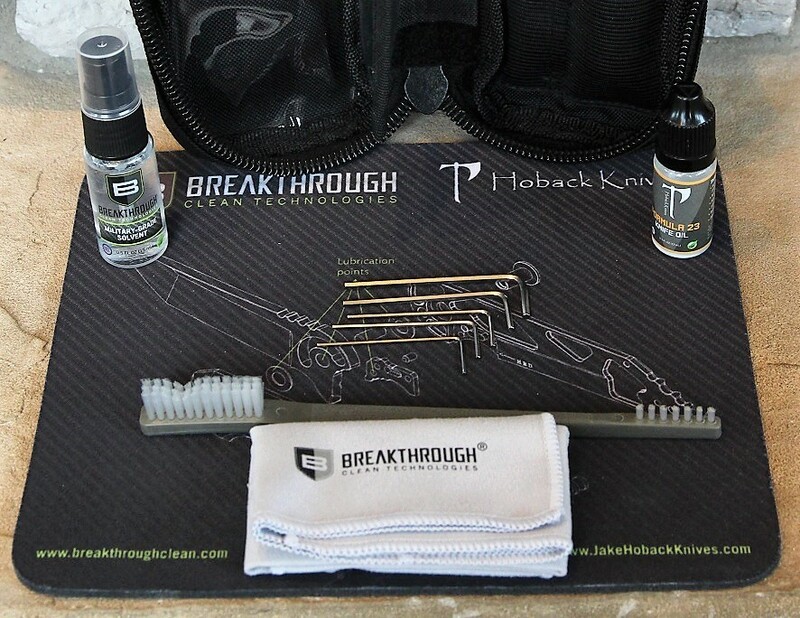 The F23 Knife Maintenance Kit is a partnership between Breakthrough Clean Technologies and Jake Hoback Knives. The kit centers around the F23 knife oil and Break Through Clean Military Grade solvent. The F23 Knife Oil is a specifically-designed knife and cutlery lubricant. Jake spent months testing different formulations and additives in search of an effective, long-lasting lubricant that won’t evaporate. 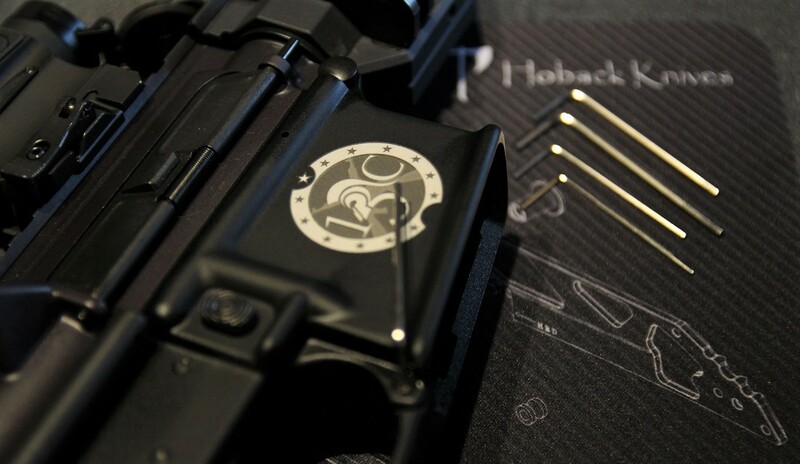 The goal was to create a lubricant that will protect edged weapons and enhance the bearing and pivot movements on a folding knife. Special attention was also paid to the capillary effect that is present when joining two pieces of steel together; it is critical to provide and retain sufficient lubrication in those capillary spaces. I’ll paraphrase what my friends at Breakthrough said to me but basically it revolved around not just how often an EDC knife can be used but also about sticking my EDC knife in my lint filled, sweaty pocket every day can put any lubricant to the test and designing a knife oil to aide in the extra rigors of that sort of abuse. 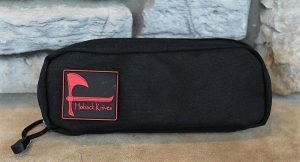 In addition to the F23 oil and solvent the kit features a cleaning mat, 5 different small allen wrenches, cleaning cloth, plastic brush and the sturdy zipped storage pouch has internal slots for the components as well as molle webbing on the back and hook and loop on the front with a Hoback Knives velco patch. The addition of some smaller Allen wrenches are a life saver, if you work on your knives you know how small and dedicated some of them are and not just for knives either. Point in case, I recently used one of the included allen wrenches to install a Magpul trigger guard screw in my latest AR build. 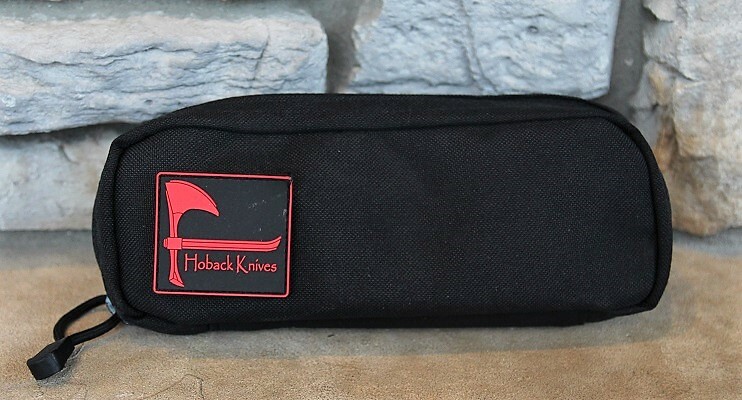 I’m pleased to see two great companies partner together and at the moment the F23 Knife Maintenance kit is being offered exclusively on the Jake Hoback Knives website .